A wise man once said “dont eat what you can’t find in nature.” If that doesn’t give you a good enough reason to stop eating vegetable oils, then this will. It all starts with a sunflower; black oil sunflower seed to be exact (the kind you feed to birds). These are the seeds that have a high oil content, so they are used to manufacture sunflower oil. The seed is planted and grown on US soil that was once wetlands and prairies where animals and plants prospered. Growing the seeds requires water, fossil fuel-soil (chemical fertilizer), dead animal soil (organic fertilizer), as well as manual labor across three million United States acres, yes three million. Of those flowers planted, about 90% of the seeds they produce will go to the production of sunflower oil. Once those oils are transported, via large fossil-fuel burning trucks, they arrive at the processing plant. Once the oil is packaged, it is shipped out around the world and used in a number of products ranging from Clif Bars, to fried foods. 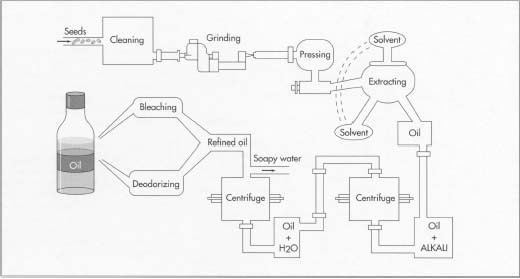 While it does take a certain amount of processing to produce any type of oil, a great rule to eat by is: “the less processing, the better.” There is a difference between being processed like a sunflower, soybean, or rapeseed (canola oil) and being processed like a coconut, or an olive. Coconuts and olives are simply [cold] pressed with the addition of low heat to derive the oils while seed, bean and corn oils are all highly processed using large metal vats, high amounts of pressure and heat, Hexane, de-gummers, deodorizers, etc, etc. But before we start, you need to understand what type of nutrient breakdown we are talking about. There are two types of “not saturated” or “unsaturated” fats: the first, called “monounsaturated” is bonded by a single bond and is stable. This stability causes it to be much less negatively reactive within the body. The second is called “polyunsaturated” and is bonded by many different bonds, making it unstable. Unstable bonds “could react within the tissues of the body like free radicals”(highly chemically reactive). Omega 3, 6, and 9 essential fatty acids are all “polyunsaturated” fatty acids. They are called “essential” because our bodies need them, yet cannot themselves produce them. Ideally, a human wants to have a 1:1 Omega 6:Omega 3 polyunsaturated fat ratio. Having an abundance of omega 6 fatty acids causes diseases like inflammation, cardiovascular diseases and some cancers. Americans, with government recommendation and approval, currently averages between a 15:1 and 16:1 omega ratio. Now, just to reiterate this; Ideally, humans want their omega 3: omega 6 ratio to be in a ratio of 1:1. Not one of the previously stated oils were at a 1:1. In fact, all of them were higher in omega 6 essential fatty acids. Some (The Ugly) were extremely high in omega 6’s, some (The Good) less so. It’s no wonder why the American ratio is where it is (16:1) Now remember, the higher our Omega 6’s are, the more likely we will be susceptible to severe inflammation and chronic disease. Just so we are on the same page, you want to try and avoid chronic disease . . . it kills you. So, it seems there is no way to avoid the Omega 6 overdose. THINK AGAIN; the solution comes with fish. Fishy fish fish. Wild caught fish. Sustainably caught fish. Fish that is high in omega 3’s (not all fish is). Fish like wild Salmon (2586 O3: 620 O6), Sardines (1507 O3: 109 O6), or Mackerel (1251 O3: 129 O6). Or, if you really want an omega 3 boost, supplement by taking fish oil. When it comes down to it, highly processed vegetable oils are going to really mess up your omega 6: omega 3 ratio. Messing up that ratio is extremely bad for you and causes chronic disease’s like cancer, cardiovascular and heart disease. Some oils, like extra-virgin olive oil and coconut oil, are less processed, lower in polyunsaturated fats and have various other benefits. 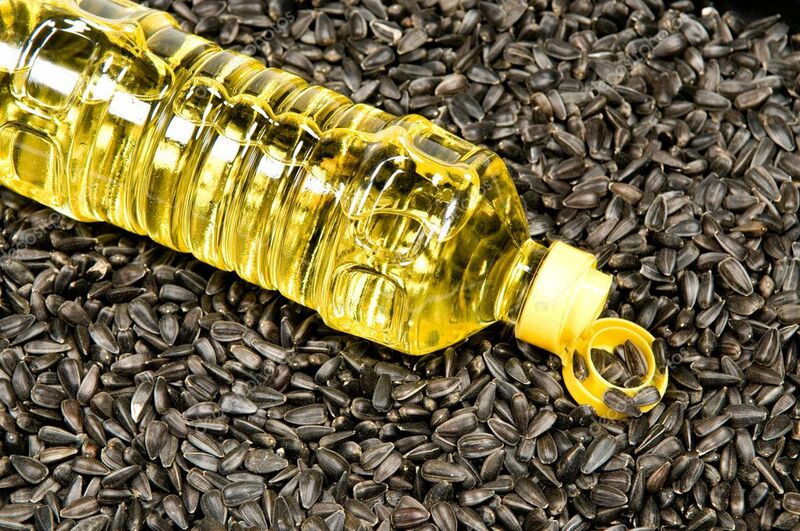 Other oils such as safflower, sunflower, and soy are much higher in polyunsaturated fats, specifically omega 6’s. Although vegetable oils are very prevalent in most dining hall’s, try to avoid them as much as possible. When you go out to eat, ask your waiter to cook your dish in butter or olive oil, look for extra virgin olive oil salad dressing, cook your eggs in extra virgin coconut oil. Don’t forget to get your omega ratio in balance by eating high Omega 3 fish, or by taking a fish oil supplement. Enhancing your Omega 3 numbers by supplementing with fish oil is crucial to anyone who’s not plowing down fish at every meal. Otherwise, your ratio will undoubtably begin creep up toward the danger zone and the 16:1 American average. Always remember to stay classy and most importantly stay Primal! Thanks for the link Ravi! Loving the adjectives you are using! You make some interesting propositions, but, unfortunately, you have provided no scientific evidence to substantiate your claims. Can you provide some (scientific, peer-reviewed) evidence to support the causal connection between elevated omega-6 fatty acid intake and elevated rates of cancer or inflammatory diseases? What is the biochemical relationship between these? I.e., how does having an elevated level of O-6 fatty acids guarantee and elevated inflammatory response? If you have an elevated precursor molecule in your system, it doesn’t necessarily lead to an abundance of product. That would be like saying “eat more protein and amino acids and you will build muscle tissue”. Which, by the way, is also false. I think your heart is in the right place, though. It’s just difficult to accept your claims without any research to back it up.